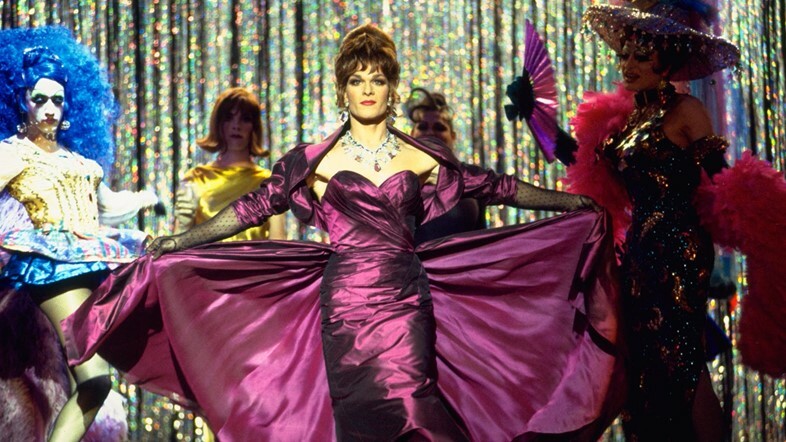 The 90s saw a crucial turning point in the depiction and acceptance of LGBTQ roles in Hollywood. 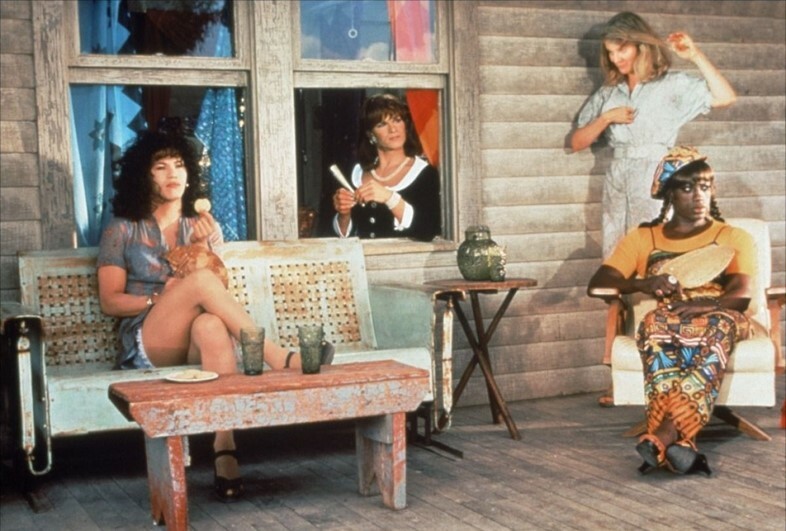 Take screenwriter Douglas Carter Beane’s 1995 film To Wong Foo, Thanks for Everything! 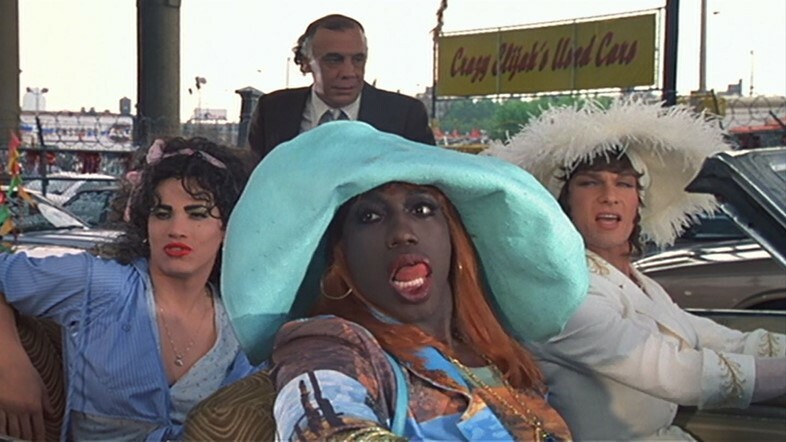 Julie Newmar, in which Wesley Snipes, Patrick Swayze and John Leguizamo play three drag queens temporarily stranded in a small American town while en route from New York to Los Angeles. 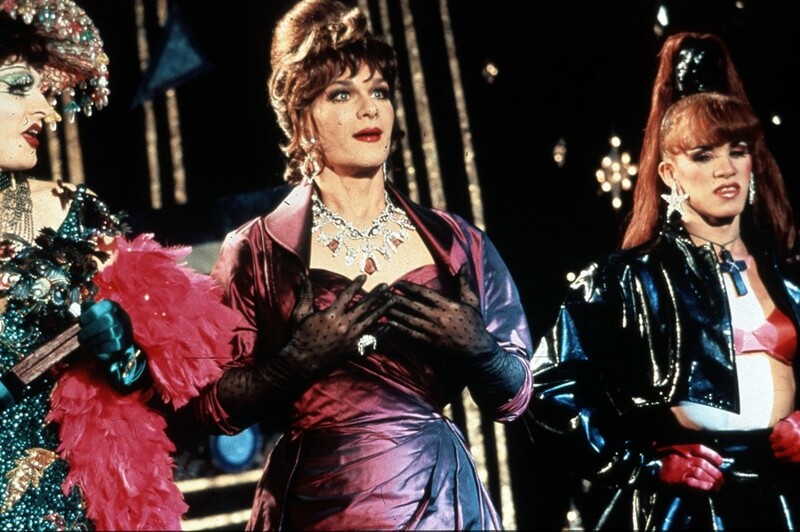 Amid a mass of feathers, sparkling gowns and corsets, the movie opens with Vida Boheme (Swayze) and Noxeema Jackson (Snipes) competing at a New York drag contest, and being awarded the opportunity to compete at the finals in Los Angeles. 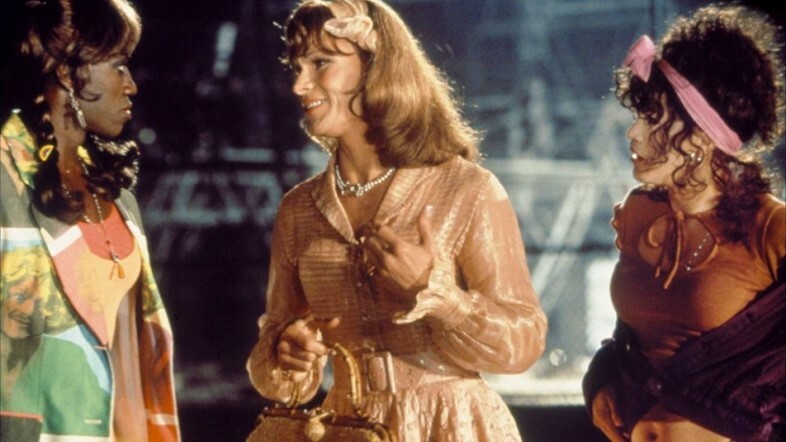 Vida and Noxeema decide to take novice Chi-Chi Rodriguez, played by John Leguizamo, under their wing to help fulfil her dream of becoming “utterly, utterly fabulous”, trading in their round-trip plane tickets for a Cadillac to get the three of them across the country. 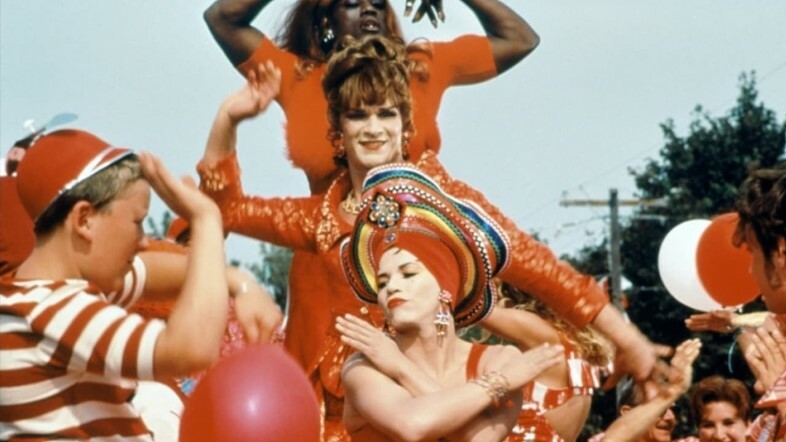 The film’s title stems from an iconic photo of Julie Newmar, signed with well wishes from the star – “To Wong Foo, Thanks For Everything” – that hangs on a restaurant wall, which Vida takes as a good luck charm of sorts. Cloaked in head-to-toe flamboyance, the three begin their drive, which soon goes awry as they’re pulled over by a racist cop named Dollard. Vida kicks the cop to the ground after he attempts to sexually assault her and, believing him to be dead, the trio flee – only to have their car break down in Snydersville. Forced to wait in town for repairs, their witty and fabulous ways transform the townspeople’s outlooks. Soon after coming across a forlorn Chi-Chi, Noxeema introduces some sage advice: “let good thoughts be your sword and shield”. The women, each with their signature styles, stay true to this life motto while maintaining a full head-to-toe look. Hats being synonymous with “career girls”, the trio finds that every day is a “say-something hat day”. From exuberant Chi-Chi’s colourful headbands and Noxeema’s sassy gold beret to Vida’s feather trimmed dress hats, their choice of headgear becomes a manifestation of their respective personalities. Though Snydersville is a bare backdrop compared to the big city streets the group is used to dominating, they never allow their appetite for glamour to fade. The queens cut striking figures in colour-coordinated outfits, perfectly coiffed locks and bold, immaculate make-up, whether lounging in the midwestern-style kitchen or outside on the porch; Vida channels leading lady Jackie O style, Noxeema wears fiery Spice Girls-esque get-ups, and Chi-Chi a series of innocent babydoll ensembles. Take it from style queen Noxeema: the 60s are back. After raiding a local shop and finding the storekeeper’s grandmother’s chest of clothes, Noxeema’s penchant for the extravagant takes centre-stage. Coats in high-shine jacquard and a glittering rainbow print are thrown into the mix, and the women parade out in their new wares, proving that psychedelic prints, flower power trousers and plenty of fringing never go out of style. When it comes to the trio’s style, larger-than-life is just the right size. Despite the original small-minded nature of the Snydersville folk, they come to accept the queens and their charming, outlandish personalities – voluminous clothes very much included. Highlights are: a Molly Goddard-esque lime green tulle dress worn by Noxeema; Vida’s myriad feather trimmed pieces; and slinky slip styles shown off by Chi-Chi. Maximalism is the only way to true queenliness. Although unlikely friendships form in the once-dull mid-western town, the focus is just as much about the deepening bond between the three main characters. Despite their bickering, they eventually learn to see eye-to-eye, finding strength in one another. Together they vow to “make Hollywood wherever [they] go”, and their strengthened bond is exemplified in the co-ordinated outfits of the last two scenes. Their head-to-toe red ensembles and entirely violet looks illustrate that they are one another’s best accessory.